Spinach – spinach can easily be added to sauces such as curries, tomato based sauces, savoury muffins or to smoothies. A pineapple and spinach smoothie is a brilliant example, especially for children as the sweetness in the pineapple masks the bitterness of the spinach. Chickpeas – making hummus to add as a side dish or snack is an easy way of adding chickpeas to your diet or if she wanted to sneak some into Autumn’s food she could make a simple chickpea paste and stir the odd tablespoon into tomato based sauces such as bolognaise or stews, I doubt Autumn would notice it. Apricots – apricots are high in iron and can be eaten raw or stewed with a vanilla pod and some honey into a compote. The compote could be served with rice pudding made with nut milk or eaten on it’s own. A few years ago I worked for a Jewish family who observed strict kosher rules. The galley was set up so that all the kosher food groups were kept separate. We had a fridge specifically for dairy, one for kosher meat and one for parve meaning any foods which are not dairy (pasta, rice, fruit, vegetables, fish, eggs). We had different sinks for each food group, different pots and pans and different utensils. It sounded very complicated when I first joined the boat but it is actually easy to follow. You can eat meat with parve or dairy with parve but you cannot mix meat with dairy so if we were serving fish for lunch or dinner I would seize the opportunity to use cheese in my salads and cream in my desserts but if we were serving meat as the main event to the meal as we often would, I would have to be creative and use substitutes to come up with tasty sweet dishes. It was while working on this yacht that I discovered just how useful coconut oil can be. You can use coconut oil instead of butter to make the topping for your fruit crumbles, to fry your pancakes in, for making raw vegan treats and for baking. Coconut oil is believed to have great nutritional benefits, it can help build muscle and can improve cognitive function. There are concerns over the amount of saturated fats contained in coconut oil however, the natural saturated fat found in coconut oil is claimed to increase the HDL or “good cholesterol” found in our bodies. This helps to convert LDL or “bad” cholesterol in our bodies into “good cholesterol” which in turn helps promote heart health and can lower the risk of heart disease. You can buy deodorised coconut oil if you’re not too keen on coconut as a flavour. It is important to always buy cold pressed, organic virgin oils to be certain you are buying the highest quality product. Cold pressed oils are considered to be better quality because the lower processing temperatures help retain the flavours and nutrients in the oil. 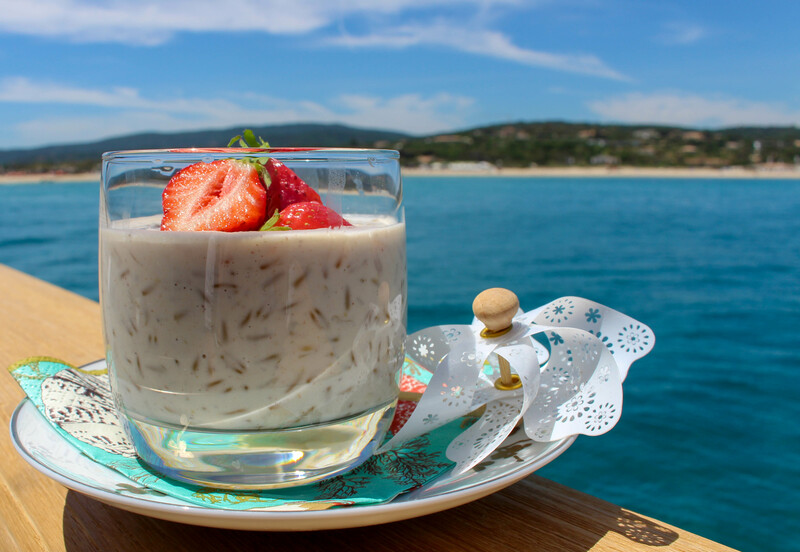 I often used dairy free milks such as almond, soy and coconut when cooking parve dishes. You can easily make almond milk at home although it is pretty expensive if you use a lot and it doesn’t keep well, maybe a couple of days at best. Cashew milk is easier to make at home, you simply soak the cashews in some cold water for an hour or over night in the fridge then put them in your blender/nutribullet and away you go. This cashew milk can then be used in recipes such as my dairy-free, high protein Steel Cut Oats in Cashew Milk recipe or to substitute cream in pasta dishes or as a base for korma curry. My colleague (and friend) Jackie introduced me to a health food shop and café in Ibiza called “Passion” and it was here I fell in love with a delicious nut milk latte. I loved it so much that I tried to recreate the recipe over the weekend and I don’t think I’m too far off. 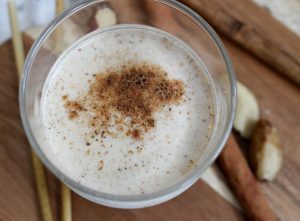 This recipe is perfect if you love a warm and comforting milk drink but are avoiding dairy. It isn’t difficult to make but you do need a blender to get the right consistency for the nut milk. There are obviously shop bought versions of dairy free milks and soy has long been one of the most popular. Soy milk is what is left from boiled, blitzed and strained soy beans, meaning the way that it is produced is very similar to how other nut milks are made. Be aware when buying soy milk that a lot of soy is treated with pesticides and is derived from genetically modified crops. That said organic soymilk is a great alternative to dairy milk given that it is not treated and grown in the same way and is high in protein, amino acids, calcium and iron. 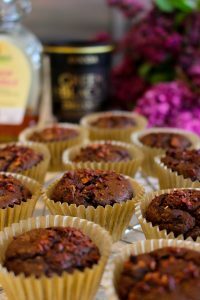 There are many substitutes you can use for vegan or dairy free baking. These mini avocado brownie bites are made with avocado instead of butter. Flax seeds are often used as a substitute for eggs. What you do is you grind down a tablespoon of your flax/linseeds to make a sort of powder then you add 2.5 tablespoons of cold water and let the mixture sit for a few minutes. Each tablespoon of flaxseed with water is equal to one egg. 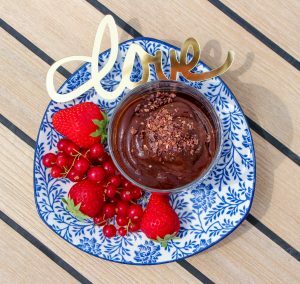 Our guests have been loving my dairy free and gluten free desserts this summer. So much so that a couple of guests have asked me for my Gluten Free Dairy Free Chocolate Torte recipe. I use coconut oil instead of butter, almond meal and coconut flour instead of regular flour and honey instead of sugar. 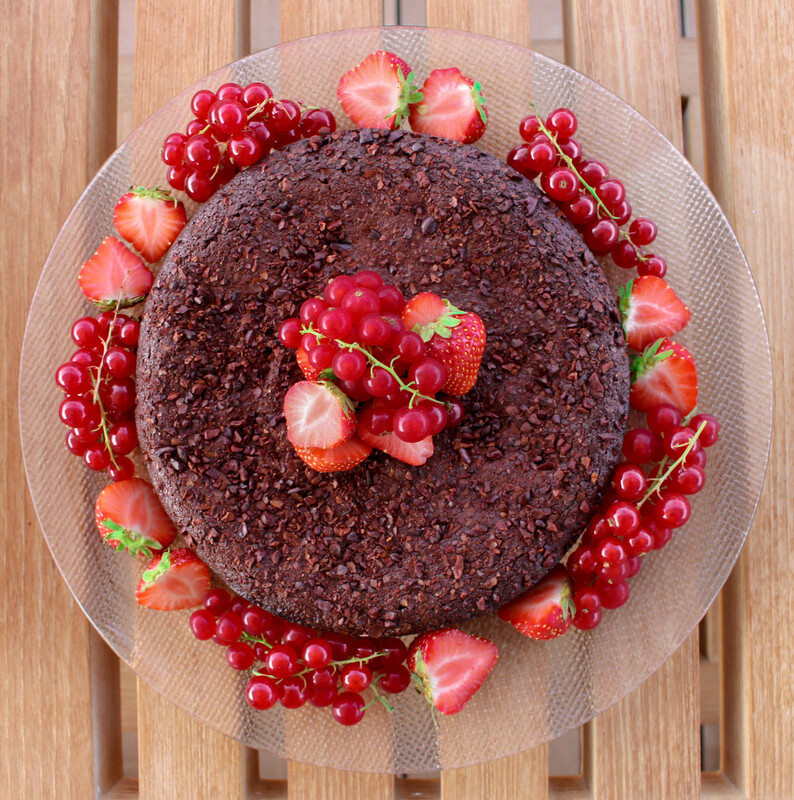 This torte is so delicious and easy to make. I like to serve it with some fresh berries which contrast nicely with the rich chocolate flavour of the torte. So Natasha, here are a few tips and ideas for you to be getting on with. I hope this blog helps you and I look forward to hearing how you are both getting on with your dairy free diets. If any of you would like to receive recipes directly into your inbox then please sign up for my newsletter (via contact/subscribe) and if you have any questions or suggestions for my next blog then please do get in touch with me via my “contact/subscribe” tab.